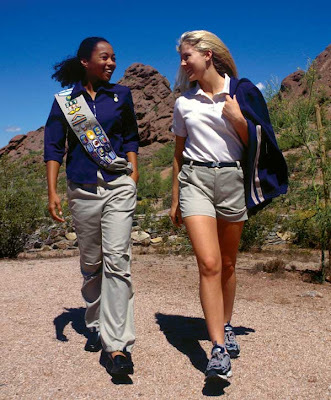 Atlanta Magazine reports that the “new” Girl Scouts runs like a Fortune 500 corporation (and with $700 million in cookie sales, it is the nation’s largest female-directed enterprise). It has the jargon to prove it. There are five key strategic programmatic platforms, fifteen outcomes, three keys to leadership, dozens of common core standards, etc., etc.—all powered by an NYC-based research institute dedicated to studying how girls learn. The Atlanta council’s latest motto? “Invest in a girl and change the world.” Watch out. The Girl Scouts are tired of being nice.